Machins with security features: 1st class booklet easily distinguished! As predicted the 10 March Design Classics retail booklet (with the Phone box and Routemaster bus stamps) has 4 Machin 1st class gold with security features. The booklet, shown above, is printed by Walsall Security Print. The printing is different, as you can see from the head - see below (sheet on left, booklet on right). 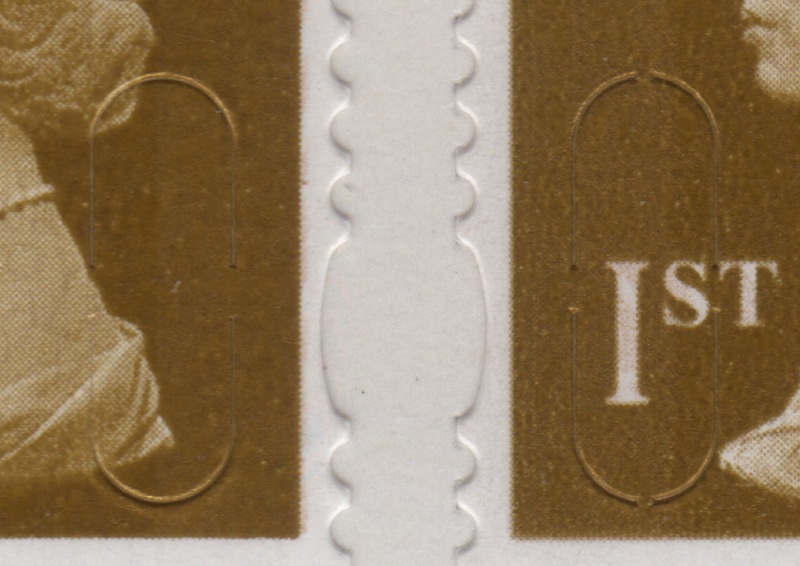 But comparison with the original sheet stamps also shows that the security slits are quite different - in the booklet there are four, rather than two. The Walsall slits are divided in two at the top and bottom. These scans show coloured screening within the upright of the figure 1 - this is the security overlay. I just noticed these "security features" on some stamps on a letter I received. 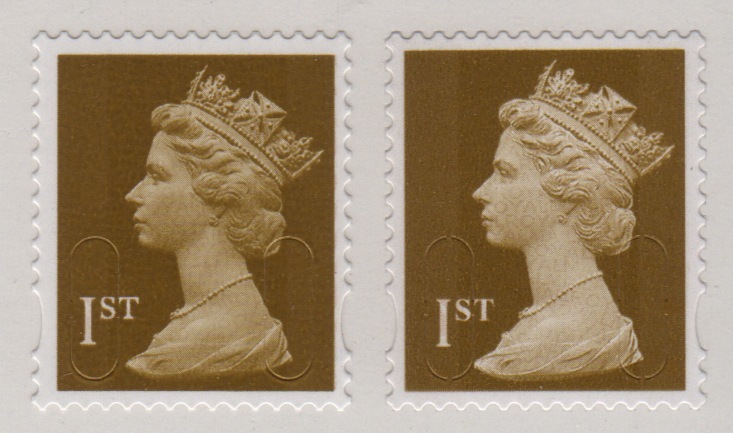 Since the elliptical slits are apparently designed to discourage re-use of stamps, I wonder whether it would have been better for the Royal Mail to actually cancel more of the stamps in the first place. I estimate that there are no cancellations on about 10% of the post I receive. Or is this just another ploy to sell more stamps to collectors?